Join the NextHome Priority team at, 20 Park Ridge Drive during the Park Ridge Area Rummage Sales! 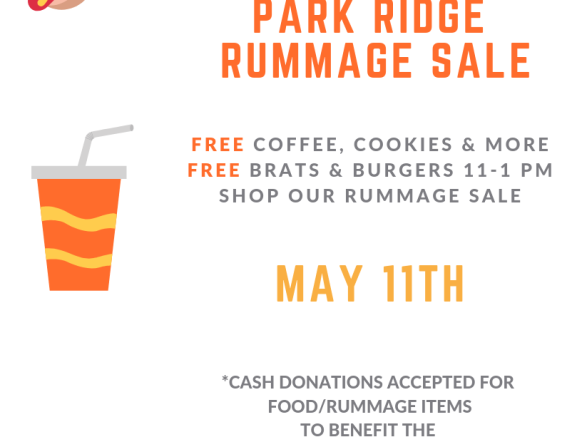 Shop our very own rummage sale (items donated by agents/staff of NextHome Priority), enjoy FREE Brats/Burgers and receive a NextHome Priority canvas shopping bag to help carry all of your rummage finds! 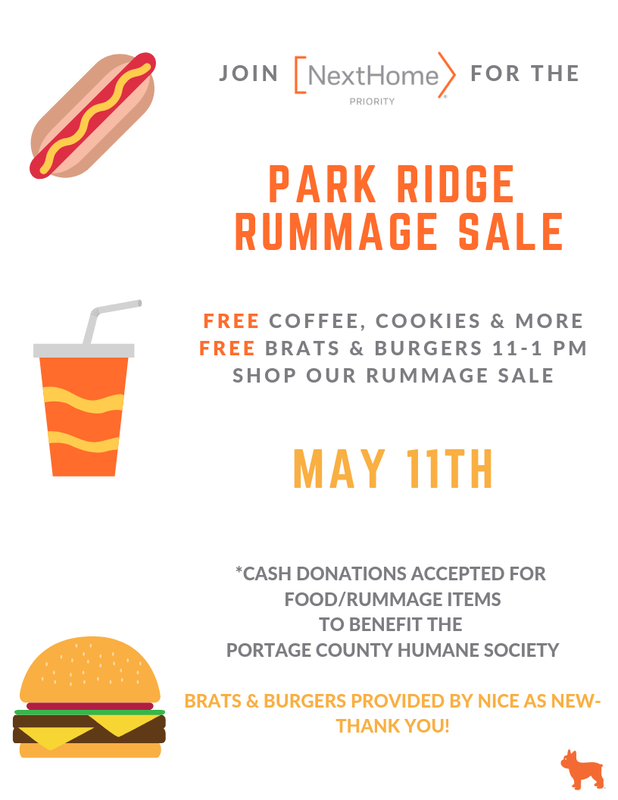 Cash donations for rummage items and food are being accepted and will be given to the Portage County Humane Society! Brats and Burgers donated by Nice as New.